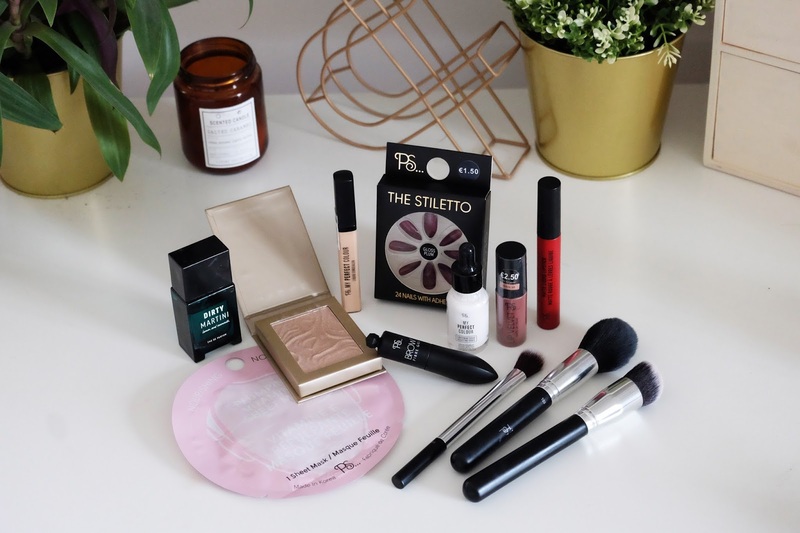 It's no secret that Penneys beauty products are not only cheap as chips, but also amazing quality and in the last few months especially they've brought out some products and ranges that rival lots of our favourite make-up brands. Some of my favourite beauty products that I use on a day to day basis are from Penneys and today I wanted to share with you the products from Penneys that we all need in our make-up bags. First up is a product I always make sure to keep stocked up on. The false nails from Penneys are a life saver for me when my nails aren't looking their best, or if I have an occasion or event. They're so easy to apply and the glue that comes with each pack of nails is surprisingly strong so I can get a good week out of a pack of nails without a single one falling off. I love the Stiletto and Squareletto shapes as they're nice and long and each pack only costs €1.50. I often paint over the nails with some regular nail polish too just to change it up a bit, which you can see an example of below. 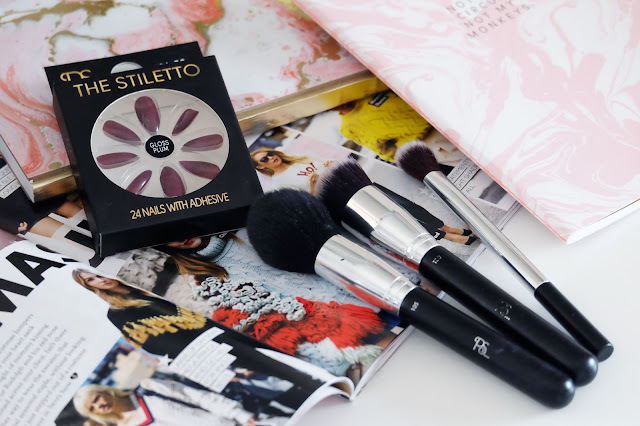 Make-up brushes don't have to cost a fortune, and the PS Pro brush range from Penneys is the perfect example of that. The brushes (which are all under €4) are just as good as some of the more expensive brushes in my collection. I particularly love the powder brush which I use to apply my powder (obviously), the buffing brush which is perfect for applying a nice smooth base and the touch up brush which I use to apply concealer. If you only pick up one product from this entire post, make it this one. I wear this on an everyday basis and I don't know how I lived without it. Most of the time I don't like to wear a full face of make-up, but I'll always pop something in my brows to frame my face and this brow gel is incredible. I have dark eyebrows, but they're not very full, so the fibres in this gel help to fill in any gaps I have and make my brows nice and thick which I love. It also helps to keep my brows in place and stops any wild hairs sticking out of place and the best part is it only costs €2! This has to be one of my most use products out of all of Penneys' beauty offerings. Their Matte Collection Lip Kits are just €4 but are some of the best matte liquid lipsticks I've tried. My favourite shade has to be this gorgeous red called Lady In Red, which is what I'm wearing in the Instagram post below. It's got a nice blue tone to it so it'll make your teeth look whiter and it's got brilliant staying power. The Lip Kits also come with a lip liner so getting the perfect matte lip is super easy. Another great lip product from Penneys is their new Lip Velvets. I've been wearing the shade 'Loved Up' for the last couple of weeks and it's that kind of 'your lip but better' colour. These beauties are nice and pocket sized to so they're great for popping in your handbag. The formula (and even their smell) really reminds me of the NYX Soft Matte Lip Creams which again just shows that Penneys products really can compete when it comes to beauty. I'll be honest and say I'd never touched a highlighter up until a few months ago when I realised I was just about the only person not getting in on the action and now it's one of my favourite steps in my make-up routine! The PS Highlighters from Penneys are just €3.50 and the shimmer they give is gorgeous. My favourite shade is Brunch Club which suits my pale skin as it's not too gold or too pink toned. If you've read any of my beauty posts lately (check them out here), you'll know I love The Body Shop's Lightening Drops, so obviously when Penneys released their own shade adjusting drops I was very excited and very impressed! Since I'm quite pale in the winter, I find it hard to get my foundation the right colour and not look too orange, so lightening drops like these are a life saver, especially when they cost just €5! Looking for the perfect, creamy concealer to hide those dark cirlces or blemishes? 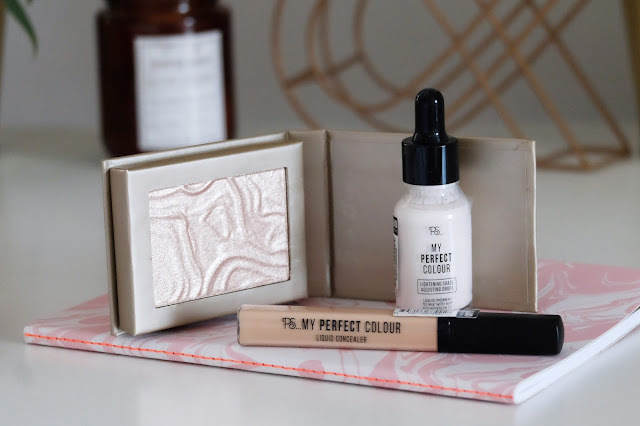 Well then you need to try Penneys' new liquid concealer from their My Perfect Colour range, but be warned, it's so popular that it's often hard to get your hands on! The formula of this concealer really reminds me of L'Oreal's True Match concealer and costs €3 so next time you see them in store, grab a few. I love a good face mask, and sheet masks have become a firm favourite in my skincare routine, especially this Plumping Vitamin E mask from Penneys. It's great if my skin is ever looking a bit tired and dull (which seems to be all the time lately thanks to late nights doing college work) and since they're sold as individual masks, they're really handy for travelling too. Penneys also Vitamin E eye patches which are great for de-puffing eyes. Some of you might be surprised to see perfumes featured in this post but trust me, if you haven't tried out any of Penneys' perfumes, you're missing out! I love dark, moody kinds of perfumes (think Tom Ford Black Orchid) so this Dirty Martini scent is like heaven in a bottle to me. It also comes in a nice, small bottle so I can easily bring it around with me in my bag. Another perfume I love from Penneys is their Amber Noir scent and there's no prizes for guessing which famous fragrance it's a very close dupe of! This one is again nice and small and handbag friendly and of course since they're from Penneys they're also bank account friendly too. Do you have any favourites from Penneys many make-up and beauty offerings? 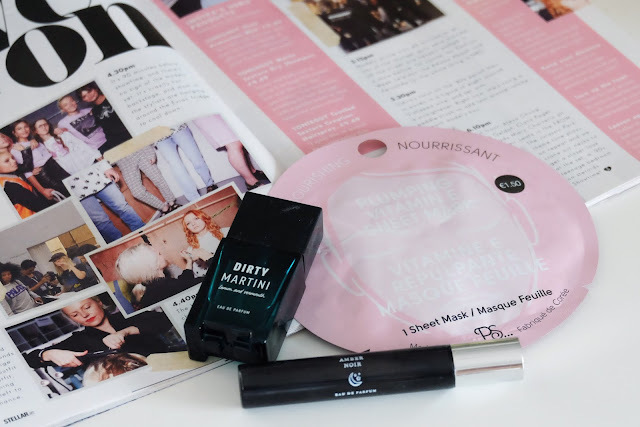 I hope you enjoyed this post and if you pick up any of the products mentioned in this post, let me know what you think of them! 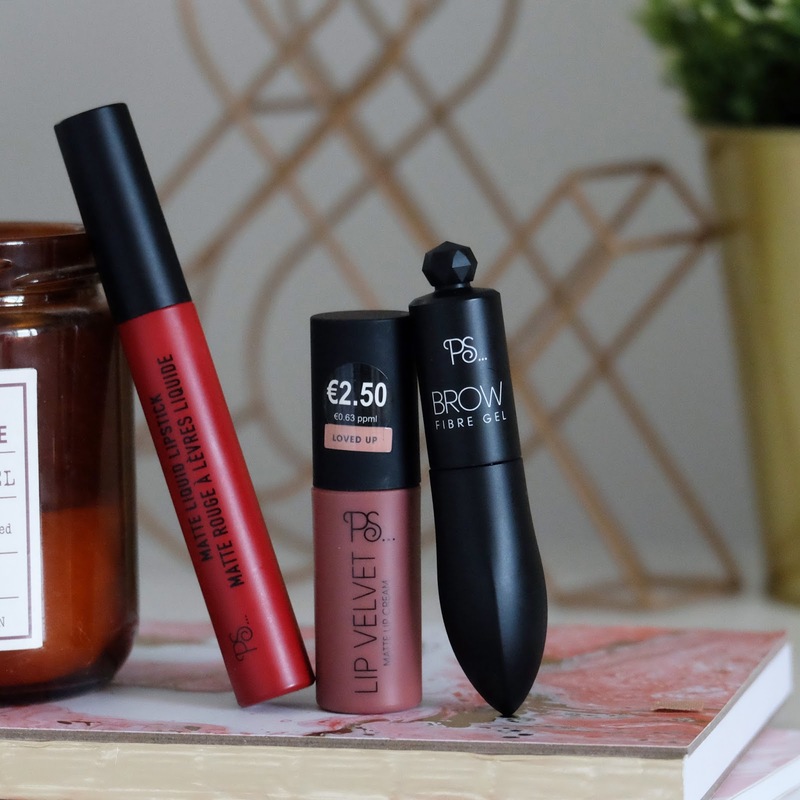 This post is in collaboration with Primark, but all of the thoughts, opinions and beauty obsessing are my own.